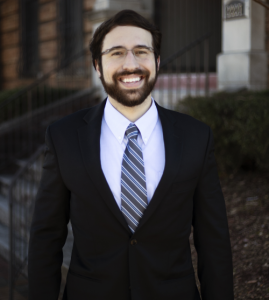 Drew Worley joined the firm in 2018 as an associate attorney after receiving his Juris Doctorate degree from Cumberland School of Law in 2017. While originally from West Tennessee, Drew remained in Birmingham after graduation. Drew received his undergraduate degree from the University of Tennessee Chattanooga in 2014 with a degree in Business Management. In his free time Drew enjoys hiking with his wife, Holly, and their two dogs. Drew is a member of the Alabama State Bar and is licensed to practice law before all state courts in Alabama (2017).